Drug packaging operations, often called “drug factories” in New York City, break down controlled substances bought at wholesale into packages suitable for individual sale. They are common in large metropolitan areas where the actual manufacture or cultivation of drugs is particularly difficult. At Goldberg & Allen, LLP, we defend those charged with all types of drug charges related to the packaging and distribution of controlled substances. We have the experience and resources to defend your rights, your freedom and your reputation in court. 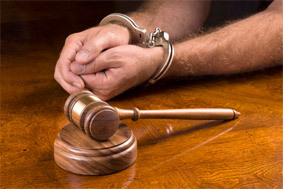 Individuals who are criminally charged in connection with drug factories often find themselves the targets of serious felonies such as drug conspiracy, manufacturing, intent to distribute controlled substances, or possession of large amounts of drugs. In fact, under New York law, simply being present in a drug factory can be the basis for a criminal charge. For this reason, the level of experience your defense lawyer has is crucial to achieving a successful outcome in your case. We bring more than 60 years of combined experience handling cases within New York’s criminal justice system. As former First Deputy Bureau Chiefs and prosecutors for the Brooklyn D.A.’s Office, our attorneys understand how drug cases are built and prosecuted. In particular, Jay K. Goldberg served as the head of the Major Narcotics Investigation Bureau during his tenure as a Brooklyn prosecutor. We provide the knowledgeable, resourceful and trial-tested representation needed to defend your case effectively. If you or someone you know has been arrested or charged for alleged participation in a drug factory or packaging operation, we have the experience and proven track record you can count on to protect your rights and interests. Contact us for a free initial consultation in which to discuss your case with one of our NYC drug crime defense lawyers.